The Center of Excellence for Chagas focuses on three main areas: screening, treatment, and research. Screening: Because it does not cause symptoms for many years, most people do not realize they have Chagas disease. 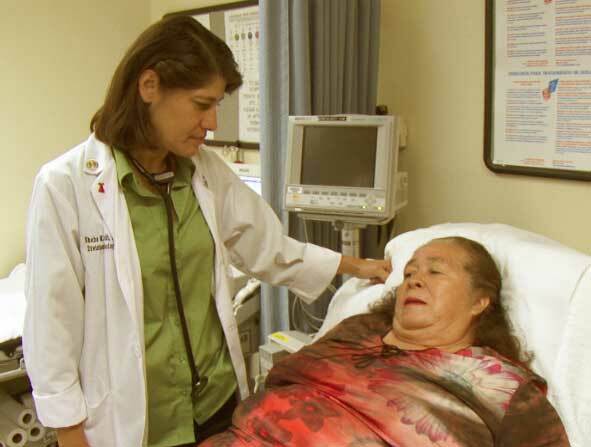 Medical providers rarely check for Chagas disease. This means there are many people in the community with a potentially fatal disease who will not realize it until it is too late. We provide screening in the community so we can catch the disease before serious complications develop. Our screening is offered at Olive View-UCLA Medical Center in Sylmar. We also regularly conduct screenings at community health fairs. To see when our next community screening will take place. Treatment: We provide a full range of treatment for Chagas disease according to the latest international guidelines. For more information on treatment options, click here.